Thanks for stopping by, and stay classy! 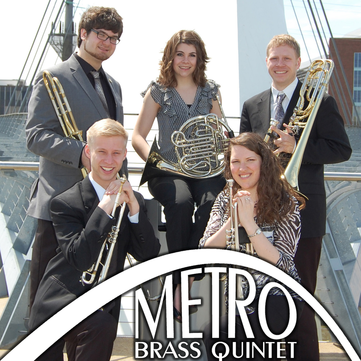 The Metro Brass Quintet was started in the Spring of 2014 and continues to bring high quality brass music into the Des Moines metro area and beyond! We have performed for weddings, anniversaries, and events throughout Des Moines, including the Des Moines Marathon, Des Moines Farmers Market, United Methodist Annual Conference, block parties, and more! For booking please contact us and we will work with you to meet your needs!